The vote to improve the plan was 2-1 with Gov. Larry Hogan and Maryland State Treasurer Nancy Kopp voting in favor of the plan, and Comptroller Peter Franchot voting against. WASHINGTON — Maryland’s Board of Public Works approved a $60 million expansion plan for BWI Marshall Airport — but not without some sometimes testy discussion over continued complaints about airport noise. Franchot suggested that putting off the infrastructure improvement plan might nudge the Federal Aviation Administration to reverse the changes in flight patterns that allow planes to fly lower along a narrower path to the airport. At Thursday’s hearing, Anne Arundel County resident Mary Reese described the impact of NextGen, the FAA’s changes to flight patterns that she said steer endless, deafening air traffic over her home. Hogan said while he sides with area residents who describe endless, window-rattling air traffic above their homes, that had little to do with the plan for improvements at BWI Marshall. 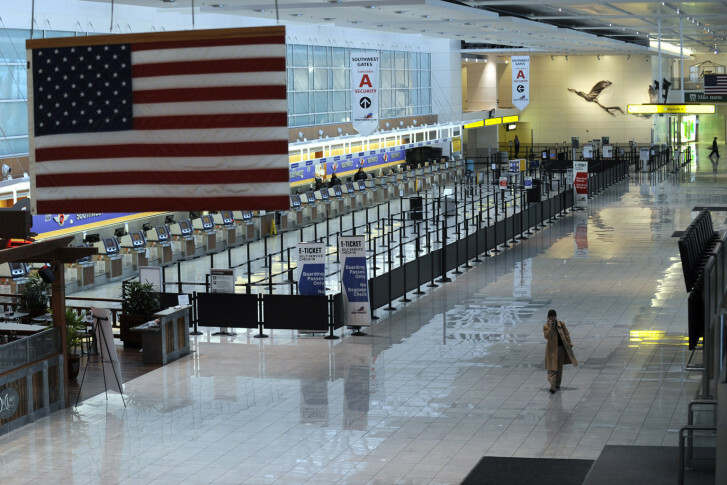 Airport officials said the improvements would upgrade an out-of-date and inefficient baggage handling system, and improve the food court and bathrooms. The project would add new gates, as well. Fixing the baggage handling system alone would go a long way toward improving customer experience at the airport, according to officials who say passengers have told them of hourslong waits to get their luggage. “It’s very frustrating to hear some of the stories about the people that are concerned, and what they’re suffering from with this noise,” Hogan told the panel. But, he said that’s a separate issue from approving the renovation at the airport. Last week, the FAA walked away from talks with state officials over NextGen. That came after Maryland Attorney General Brian Frosh went to federal court to call on the agency to readjust the flight patterns. Residents near BWI Marshall and Reagan National airports have appealed to state and federal lawmakers to help them with noise abatement in their areas.